Research into the causes of endocrine cancers and the development of new and better treatments allow many patients to be cured of the diseases. There are currently 350,000 thyroid cancer survivors in the United States, although some of these patients have persistent or recurrent tumors. UCSF wants to increase the number of survivors and to ensure that each of these survivors is completely free of disease. That is why the Endocrine Surgical Oncology Research Program was established in 1990. 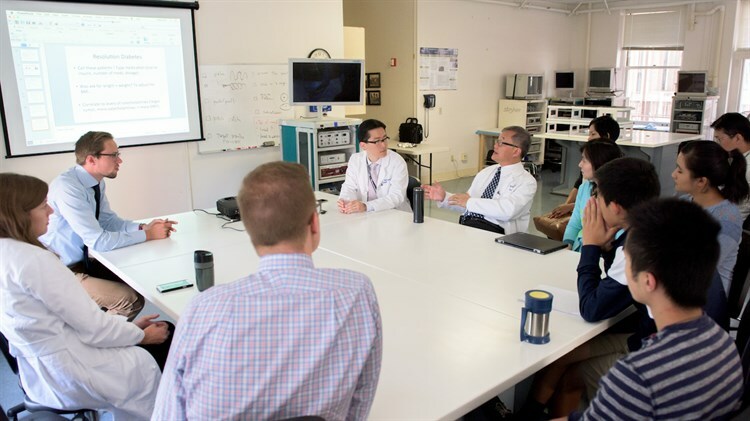 The Program focuses on surgical training combined with basic, clinical and translational laboratory research (using new basic science discoveries to improve patient care). 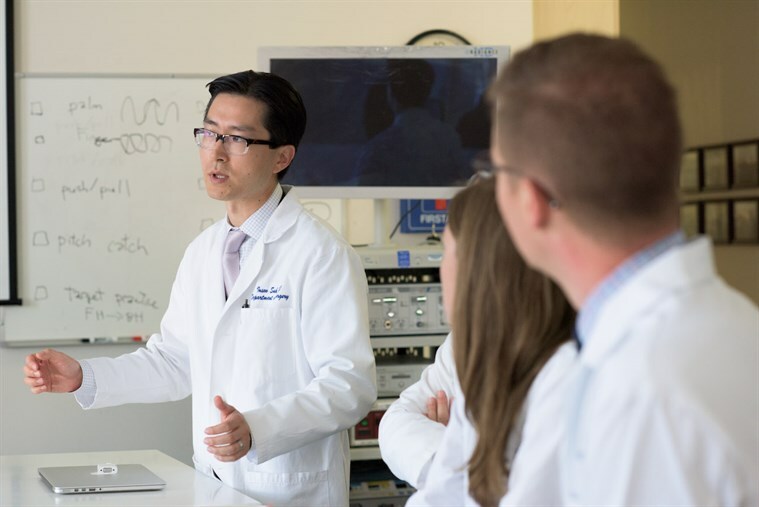 Through this Program, UCSF is improving treatment, while at the same time training tomorrow's leaders in the care of patients with thyroid cancer and other endocrine tumors. UCSF researchers are testing these two drugs in clinical trials to see if they can enable difficult to treat, poorly differentiated thyroid cancers to revert back into differentiated tumors. Once this happens, as the Program has already been able to demonstrate in thyroid cancer cells in the laboratory, the tumors may respond to conventional radioiodine treatment. In collaboration with these two drug companies, UCSF researchers have been conducting trials using new "designer" drugs that may give hope to patients with advanced thyroid cancers that are unresponsive to conventional chemotherapy and radiation treatment. Initial results suggest that the drugs cause tumor regression in about 20% of patients and tumor stabilization in about 50% of patients. UCSF researchers have identified novel diagnostic and extent of disease biomarkers for thyroid cancer. They are conducting a prospective clinical trial to determine the clinical utility of these markers. Researchers in the Program are working to understand the biochemical pathways that allow thyroid tumors to invade surrounding tissues and organs. The goal of this research is to find ways to inhibit this process and stop the spread of thyroid cancer. Researchers are determining the genetic profiles of thyroid tumors and correlating these profiles with clinical outcomes.This discovery could lead to diagnostic tests that would allow doctors to judge whether a small tumor is likely to cause serious problems. In cases where tumors show a benign genetic profile, patients could be spared unnecessary surgery and lifelong hormone replacement therapy. Identifying specific genetic profiles may also help to develop new therapies. About 5% of non-medullary thyroid cancers are caused by a genetic defect that is passed down through families. So far, this gene has not been identified. UCSF researchers are conducting genetic studies in collaboration with the Department of Human Genetics in order to identify the responsible gene or genes. Finding the specific gene(s) will both aid diagnosis and drug development and improve survival.